Running in Istanbul, Turkey. The best places to run in Istanbul. 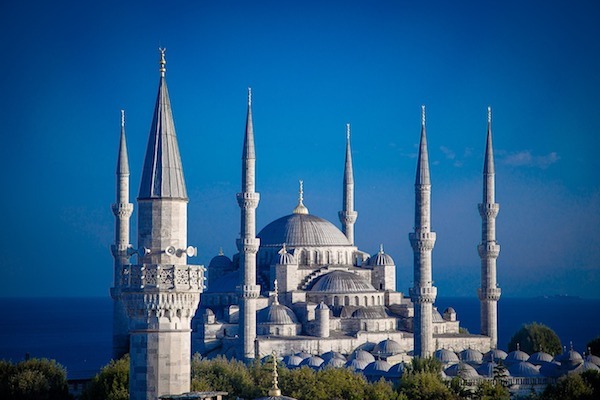 Historically known as Constantinople and Byzantium, Istanbul is the most populous city in Turkey and the country’s economic, cultural, and historic center. 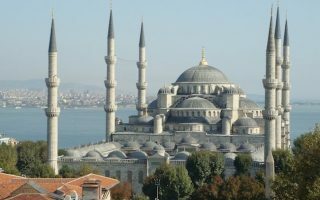 Istanbul straddles the Bosphorus strait (which separates Europe and Asia) between the Sea of Marmara and the Black Sea, and features seven hills, each topped by imperial mosques. Our guide to running in Istanbul has routes in the commercial and historical center on the European side, and on the Asian side, where 1/3 of the population lives. It’s the 7th largest city in the world and the 5th largest tourist destination. Note that this is a dense and crowded city, with some pollution, so you’ll have to pick your spots. Running is not as commonplace as some other European cities. The best places to run in Istanbul are along the water, featuring the Bosphorus and the Golden Horn. Highlights are around Sarayburnu, near the Old City (Sultanahmet), between Kuruçeşme and Bebek, and along the Dalyan-Pendik Coast. For hills, head up to Camlica Hill, and for woods and trails, head to the expansive Belgrade Forest, 15 km north. A great ‘destination’ run is Büyükada, reachable by ferry, featuring a 7 km loop around the island. Istanbul has a good and continually improving transport system, with trams, buses, rail, and a subway system. The 0-1 is the inner ring road, the 0-2 is the outer ring road; and there are three Bosphorus Bridges and the new, dual-deck Eurasia Tunnel under the Bosphorus strait also provides road crossings for motor vehicles between the Asian and European sides of Turkey. A quick 5k loop in the old-town Sultanahmet area, combining some sites, parks, and a good stretch along the Bosphorus river, paralleling the Kennedy Caddesi shore road. Can be combined with our other route in the Sultanahmet. 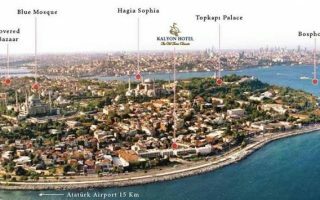 Another Bosphorus River running option, this one almost all along the water, from Galata and encircling the Sarayburnu. 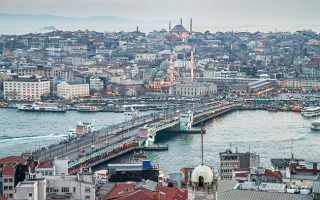 From Galata Tower, run over the modern Galata Bridge, and then along the water to the Yenikapi Ferry Terminal. Can use transport to make it a one-way run. There aren't too many large parks in Istanbul. This loop includes stately, tree-filled Gezi Park, and a nearly 1.5 mile loop around the perimeter of hilly Maçka Park. The area of Taksim Square has several major hotels in this tony part of Istanbul. One of the most popular places to run in Istanbul is along the Bosporus River, from Kuruçeşme to Bebek. It's not a seamless waterfront path, but there are some great sections. A long-ish option is from the first to second bridges, nearly 6km. 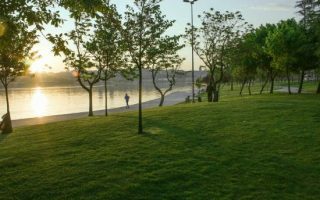 A waterside run along the Golden Horn, with many options for distance. Up to 8.5km (5.3 miles) from the Galat Bridge all the way to the Bilgi University Campus. There are good, smooth paths along the water for a majority of the run. A fantastic waterside run on the Asian side. It's possible to run 27 km from Fenerbahçe to Pendik, mostly through palm-lined parks with great views of the water. A great opportunity to rack up some miles. 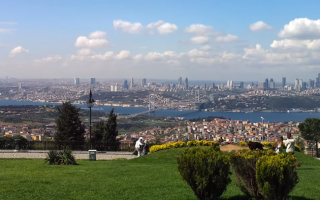 Camlica Hill is the highest point in Istanbul, at 227 meters. There are great views from the summit, as well as a picnic area, cafes, and a few trails. Our route is 3.8 km from the Kısıklı subway, with a longer option to Millet Park. 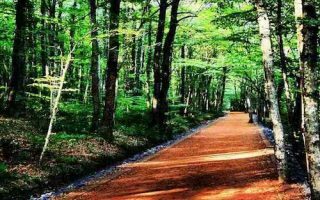 A 13,500 acre forest located 15 km north of Istanbul, with many options for trail running. There's a wide, 6.5km (4 mile) jogging track that begins Neset Spring. Not too hilly. A great run if you want an excursion! Reachable by ferry, this CAR-FREE island has many km of roads/paths for running, with great water views. Run the 11.8 km (7.3 mile) perimeter road, or some of the interior trails of the National Park. Note - hilly!! 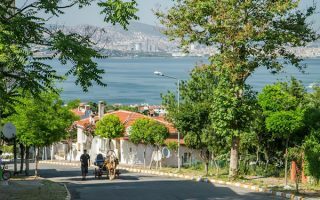 Istanbul has a combination Mediterranean, humid subtropical climate, and oceanic climate, with quite a bit of variation depending on location, influenced by water and the hilly topography. 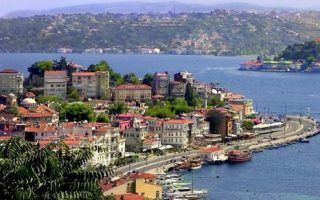 The northern half of the city, as well as the Bosporus coastline, is more humid, while the southern sections of the city is warmer and drier. The south coast is typically a few degrees warmer than the north coast. Summers are warm and humid, with high temperatures in the 26-27C range (80F), with warm nights. Winters are cloudy, cool, and damp but not cold, with average highs around 5C and lows hovering around freezing. Snow and ice are occasional. Precipitation is more frequent in winter, and sunny days are prevalent are summer. This is one of the most visited cities in Europe, so there is a large selection of hotels of varying budget range. If you’re staying anywhere in the Sultanahmet area, or to the east of Atatürk Blv., you’ll be within range of a good run. 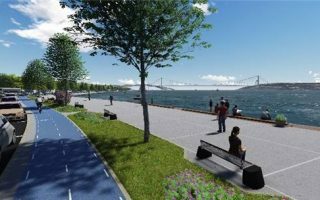 Try to stay as close to the water as possible, as there are good running spots along European and Asian side featuring the Bosphorus, Golden Horn, and Sea of Marmara. 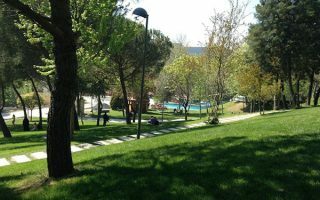 There are also lots of hotels in contemporary Istanbul in the Taksim Square area, which provides access to good running in Maçka Park. There are fewer hotels in Üsküdar area, but if staying there, try to be close to water in Dalyan for the best running. There is a growing running scene in Istanbul, evidenced by the opening of new running stores in recent years. There are stores operated by the major shoe brands: Reebok, Puma, Asics, Nike, Converse, Salomon, and New Balance. See our map for location of stores and group runs. For additional information on running groups in Istanbul, click here. Nike Run Club. Frequent events on the European and Asian side.